Before I start, I just want to make it very clear that I am not a trained medical professional, nor should anything I say be taken as ‘good advice’ – I write about my own personal experience and journey to share my story with others battling a similar illness, but please always seek professional help if you wish to discuss your medication or condition. I was first prescribed Azathioprine probably back in February 2017, which in short means that I had been on it for 8 months. Initially, I was set a dosage of 125mg before blood tests revealed that there was too much of the Immunosuppressant in my body and my hospital Pharmacist decided to take me down to 75mg a day. The first month or so was a bit of a struggle, as I battled with quite intense nausea (a common side effect) and was constantly worrying about a tight chest or looking for any rashes. After weeks passed, my body began to find it’s feet and the side effects settled down. What was amazing was that my Crohn’s also seemed to settle down too. After a month, I began to feel ‘normal’ – but God, what even is normal? My symptoms of diarrhoea had almost completely stopped and my arthritis had also seemed to subsided. I genuinely felt great and as if I had a new lease of life instilled in me. Obviously, this was amazing – especially after I was so nervous to go onto the medication in the first place having been totally freaked out by all the side effects listed in the small print! Months passed of being on it, and not only did I feel fantastic with how my hospital were looking after me, with my weekly blood test checks, but I was also starting to feel fantastic in myself; being able to eat and drink more or less whatever I wanted, forgetting to ‘worry’ about needing the toilet and also being able to just function without completely aching. However, for some reason, in October 2017 (so yeah, literally a few weeks ago) I decided to stop taking it. I’m making it sound like I’m being irrational, but to be totally honest with you, it was an irrational decision. I sought no medical advice about doing this and I still have not been in contact with my Gastroenterology team to make them aware that I’ve stopped – which is irresponsible, I know I should. This is now a mental check list to do it tomorrow. Why? What would possess me to stop taking something that was actually making me fee so great? The truth is – I can’t put my finger on it. I think over the last few months, I’ve been very conscious of how Azathioprine has affected my hair and nails. The constant hair loss and breaking, my nails being so weak they snap off so low down they bleed – vanity, sure. But as a 25 year old female trying to make her way in a crazy City, my image is import to me – however shallow that sounds. What also began to slowly freak me out, was that I really was doing anything and everything that I wanted to my body, being totally careless with what I put into it, and being blasé because I knew that anything that came out of it would be normal. Not cool. I’d stopped being conscious and mindful of giving my body the respect it needed, because I wasn’t seeing any repercussions of doing so. Again, careless, but this is a space for me to be open and honest. So when my tablets ran out last month, I decided not to go and renew the prescription. I know that Azathioprine can take a while to completely come out of your system, and only now that I am approaching the ‘one month Aza free’ mark am I really starting to notice the effects of it. My stomach is a lot more sensitive to food and drink, and I am going to the toilet a lot more and noticing I am more bloated. My arthritis has started to come back with a bit of bite, meaning I am spending more time in silent pain with very inflamed areas of my body. I can’t quite tell if the heightened fatigue is as a result of coming off Azathioprine, or if it’s just because I’ve been running myself into the ground recently for both work and socially – but I am pretty knackered! What happens next, I have no idea. Whether or not my Crohn’s will start to get worse again to the point that I’m back in the Hospital with reliance on steroids (which I was before Azathioprine) is a risk that I suppose I have prepared myself to take. But I am also hoping that there is a part of me which can focus more energy into taking better care of myself in general. I do believe that health as a whole is obviously so connected with what we put into our bodies, and I am so guilty of eating so much junk food and drinking way too much alcohol! And with not wanting to change my lifestyle too much, I do also want to change my outlook on how I treat my body. In an absolute ideal world, I would not be reliant on medication and putting so many chemicals into my body that cause other side effects that make me sad. But life is not always that straight forward – I am prepared to accept that in a few months down the line, I could well be back on another immunosuppressive or some alternative. I am prepared to accept that despite how stubborn and strong I think I am, I can not deny my disease and that maybe there is a time to accept help from medicine. And finally, I am prepared to accept the fact that if I can somehow find some positive ways to help my body by myself, I’ll be so happy with at least trying it out. I’ll be honest, I wasn’t going to make my decision of stopping Azathioprine without being advised to do so, public. I felt like I would get a lot of negative feedback and that it would be too hard to justify that it just didn’t feel right for me anymore – and not because of my physical response to it, but the shift in my emotional and mental view on it. My advice? Do what feels right for you. Talk to your Gastro team. Believe in yourself and the power of your gut instinct – whatever it is. 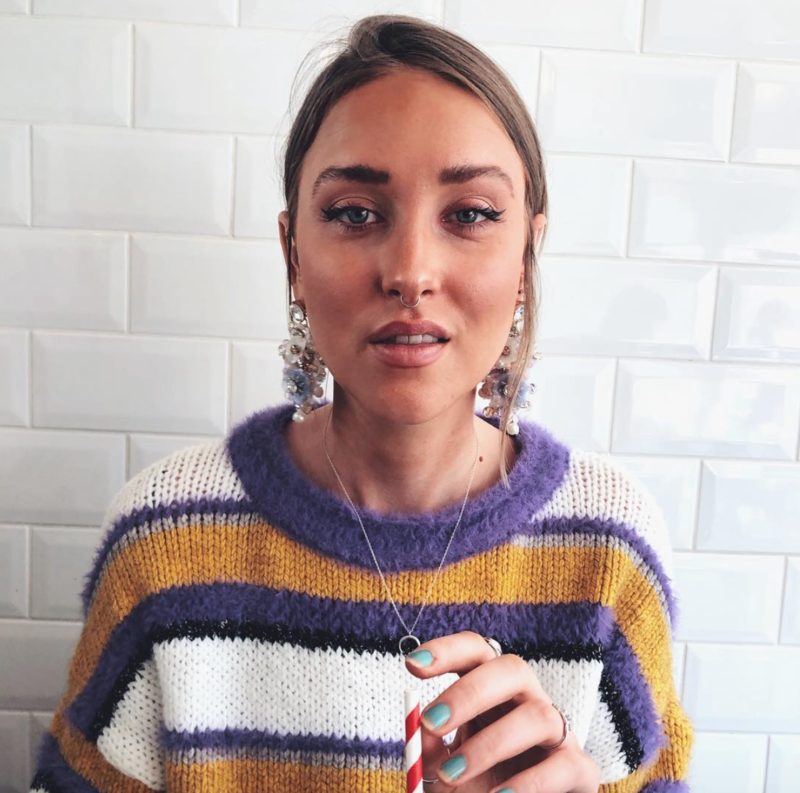 Loïs Mills is a 27year old blogger from London. Diagnosed with Crohn's Disease in 2015, she now focusses on shining light on invisible illness and holistic healing through food & lifestyle.